In addition to Olam Ha Ba, Gan Eden is a term used to refer to one of several Jewish versions of the afterlife. "Gan Eden" is Hebrew for the "Garden of Eden." It first appears in the book of Genesis when God creates humanity and places them in the Garden of Eden. It wasn't until much later that Gan Eden also became associated with the afterlife. However, as with Olam Ha Ba, there is no definitive answer to what Gan Eden is or how it ultimately fits into the afterlife. The ancient rabbis often talked about Gan Eden as a place where righteous people go after they die. However, it is unclear whether they believed that souls would journey to Gan Eden directly after death, or whether they went there at some point in the future, or even whether it was the resurrected dead who would inhabit Gan Eden at the end of time. One example of this ambiguity can be seen in Exodus Rabbah 15:7, which states: "In the Messianic Age, God will establish peace for [the nations] and they will sit at ease and eat in Gan Eden." While it's apparent that the rabbis are discussing Gan Eden at the end of days, this quote does not reference the dead in any way. Therefore we can only use our best judgment in determining whether the "nations" they talk about are righteous souls, living people or the resurrected dead. 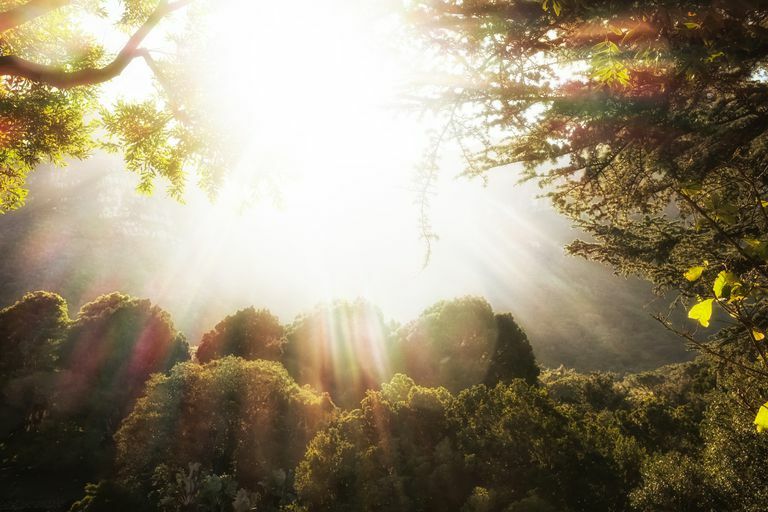 Author Simcha Raphael believes that in this excerpt the rabbis are referring to a paradise that will be inhabited by the righteous resurrected. His basis for this interpretation is the strength of the rabbinic belief in resurrection when Olam Ha Ba arrives. Of course, this interpretation applies to Olam Ha Ba in the Messianic Age, not Olam Ha Ba as a postmortem realm. Other rabbinic texts discuss Gan Eden as a place where souls go immediately after a person dies. Barakhot 28b, for example, relates the story of Rabbi Yohanan ben Zakkai on his deathbed. Just before he passes away ben Zakki wonders whether he will enter Gan Eden or Gehenna, saying "There are two roads before me, one leading to Gan Eden and the other to Gehenna, and I do know by which I shall be taken." Here you can see that ben Zakkai is talking about both Gan Eden and Gehena as afterlife realms and that he believes he will immediately enter one of them when he dies. Gan Eden is often linked to Gehenna, which was thought of as a place of punishment for unrighteous souls. One midrash says, "Why has God created Gan Eden and Gehenna? That one might deliver from the other" (Pesikta de-Rav Kahana 30, 19b). The rabbis believed that those who studied Torah and led a righteous life would go to Gan Eden after they died. Those who neglected the Torah and led unrighteous lives would go to Gehenna, though usually only long enough for their souls to be cleansed before moving on to Gan Eden. "A river watering the garden flowed from Eden; from there it was separated into four headwaters. The name of the first is the Pishon; it winds through the entire land of Havilah, where there is gold. (The gold of that land is good; aromatic resin and onyx are also there.) The name of the second river is the Gihon; it winds through the entire land of Cush. The name of the third river is the Tigris; it runs along the east side of Ashur. And the fourth river is the Euphrates." Notice how the text names the rivers and even comments upon the quality of gold mined in that area. Based on references like this the rabbis sometimes talked about Gan Eden in earthly terms, debating, for example, whether it was in Israel, "Arabia" or Africa (Erubin 19a). They likewise discussed whether Gan Eden existed prior to Creation or whether it was created on the third day of Creation. Much later Jewish mystical texts describe Gan Eden in physical detail, detailing "gates of ruby, by which stand sixty myriads and ministering angels" and even describing the process by which a righteous person is greeted when they arrive at Gan Eden. The Tree of Life stands in the center with its branches covering the entire garden and it contains "five hundred thousand varieties of fruit all differing in appearance and taste" (Yalkut Shimoni, Bereshit 20). "Jewish Views of the Afterlife" by Simcha Paul Raphael. Jason Aronson, Inc: Northvale, 1996.